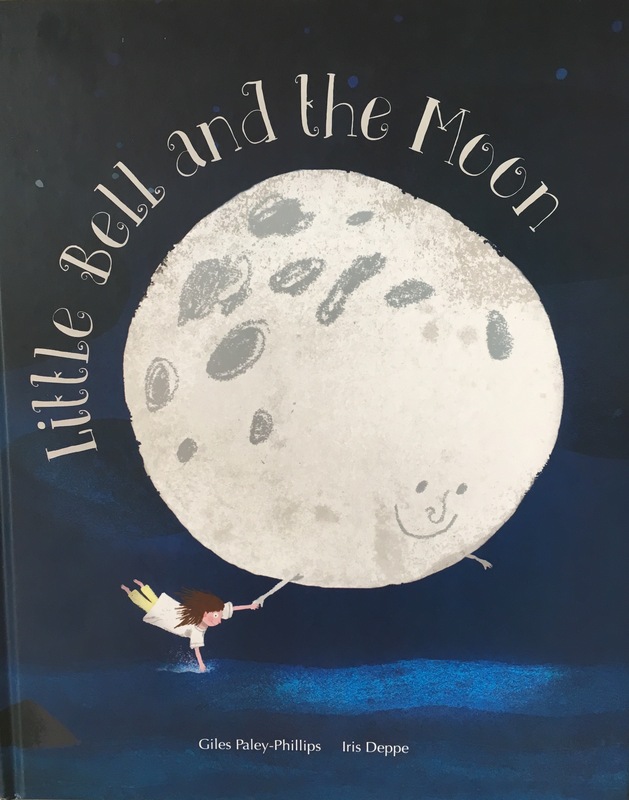 Little Bell and the Moon: my first review! I was just a LITTLE bit excited this week to discover that hiding out in the playground, disguised as a Dad, is an award winning children’s author. The (dreaded costume trimmed) Book Day happened a bit earlier than the rest of the world at my daughters school, and was celebrated for a whole week. Luckily we were spared from sending the little treasures into school in a different costume for each day..! It was during this week that Darcie met Giles Paley-Phillips. She came home thrilled to have met a “real life book writer”. Giles had bravely given over his time to the mercy of the Primary school for a few days. Having contacted Giles on Twitter to thank him for making such an impression on Darcie, (the fact that she remembered something she had done during her 7 hour school day is frankly a miracle, and a first!) he very kindly gave Darcie one of his books – and invited me to review it. Again, bravery; I have never done a review of anything before! I waited until the calm of Sunday evening before breaking it to Darcie that tonight we would not be reading Frozen for the quite possibly the millionth time, instead we would be reading The Book Writers book. We were introduced to little Bell, the main character. A little girl who likes to go on adventures with the Moon at night time. Now, this is very topical in our household as we are teetering on the edge of obsession with Tim Peake and his space antics at the moment. Darcie was quite envious that Little Bell flew all over the world having these adventures whilst holding the moons hand. Bell carries on these journeys for “some 60 years, or maybe more” the beautiful pictures show Bell growing older, becoming Muma and onto an old lady. Darcie added “I don’t want to get old like Bell” hmmmm. Ok. Mental note to tackle this subject another time. Giles then very beautifully describes Bell’s last moments, “into a sleep she fell”, the moon cries. I cry. Darcie asks if The Moon took Granny’s soul to space just like he has taken Bells. I get away with wiping away my tear before my beedy eyed Darcie notices. Giles manages to describe Bell going to heaven and being at peace in such a touching and beautiful way. I wished I could have read this book to Darcie last Summer when her Granny died. Trying to explain that someone is gone forever to a 4 year old is a bit like mission impossible. But Giles nails it. whilst Iris Deppe draws you in with colourful full page illustrations that go hand in hand with the rhyming tale. Bell and The moon is the most moving children’s book I have ever read. A story with a heart. It passes Darcie’s Litmus test: as soon as we finished the book she asked for it to be read again. I’m pretty sure it wasn’t just a ploy to keep the light on longer. Bell and the Moon fascinated her. Previous postThe pressure to ‘MAKE THE MOST OF IT’.